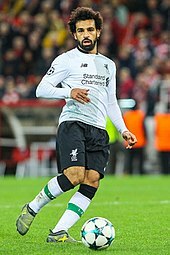 ^ "Man City's Kevin de Bruyne & Liverpool's Mohamed Salah show class is permanent". BBC. Retrieved 15 April 2019. 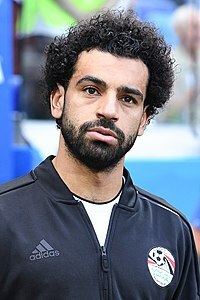 ^ "Jamie Carragher Explains Salah's Importance". Metro. Retrieved 15 April 2019. 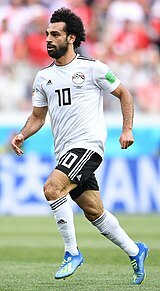 ^ "Salah's hometown charity project almost finalized: father". 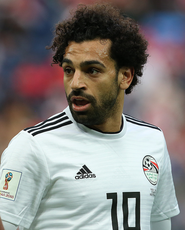 Egypt Independent. 10 October 2018. Retrieved 16 April 2019. 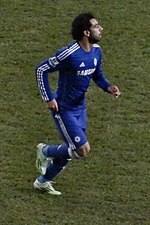 ^ "The Rise of the New Egyptian King, Mohamed Salah". OkayAfrica. 18 June 2018. Retrieved 16 April 2019. ^ Hytner, David (14 January 2016). "Arsenal's Mohamed Elneny: the tireless street footballer who slept with a ball". The Guardian. ISSN 0261-3077. Retrieved 16 April 2019. † In 1994, Zambian footballers were posthumous winners after their plane crash. This page was last edited on 25 April 2019, at 18:37 (UTC).